+ LOTS more DoggyLoot Deals all with FREE Shipping! 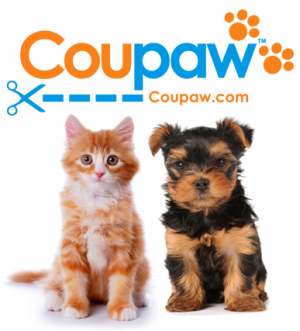 +LOTS More great Coupaw deals for dogs and cats w/ Shipping Included! + HOT New Petching Deals Daily!!! Spend $25 and Get $75 to Spend on Great Photo Gifts for Pet Lovers! Here’s a very cute gift idea for any pet parent on your list! Pay $25 for $75 to spend OR pay $50 and get $150 to spend on photo gifts or a custom photo canvas and turn those great pet photos into something really special! Since you get a voucher code with this deal, you could either create a gift for yourself or loved one, or give them the gift voucher and let them create their own work of art! You can have your favorite pet photo put on canvas, slate, window clings, mouse pads or phone cases. Orders should arrive at their destination within 1-2 weeks of the date the order is placed, and 100% satisfaction is guaranteed. 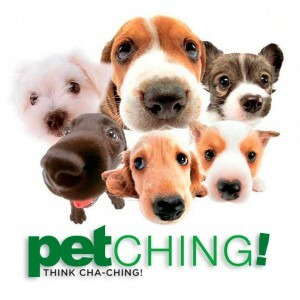 Visit Petching.com for this and more great gift ideas for pet lovers! Adorable Dog Christmas Stocking $8 Including Shipping ($15 reg)! Get this super cute Christmas Stocking for Dogs for only $8 ($15 reg) including free shipping! It’s made of red fleece with green trim and measures approximately eight inches across and 18 inches long. Stitched in white is HAVE A WUFFLY CHRISTMAS. Visit Petching.com to signup for pet deal alerts and snag this one before it’s gone! *HOT* 48-Hours Only: Get $5 FREE to Spend at PETching w/ Promo Code! Here’s a SUPER new deal for all you pet parents who love to shop for your fur babies! PETching.com, the Daily Deals for Pets site, is offering new subscribers a FREE $5 to Spend on your first order when you subscribe here! This $5 Off deal is valid for new subscribers on your first order only and is valid for 48 hours! Get $30 Worth of Pet Products from EntirelyPets.com for Only $15! Right now, you can snag a savings of 50% on stuff you need for your pets! Head on over to PETching.com here and get the deal for $30 worth of Pet Products from Entirely Pets for only $15! Then head on over to EntirelyPets.com and use your $30 credit toward any pet supply items they carry, including Frontline, Furminator, Pet Meds, Treats and more for your dog, cat or critter!